The first Australian pancreatic cancer screening trial is recruiting at St Vincent’s Hospital, Sydney and Austin Health, Melbourne. 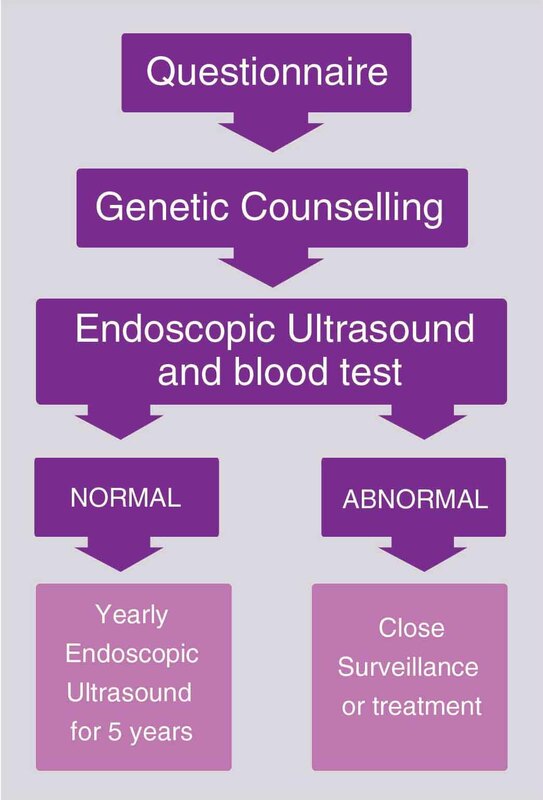 The aim of the study is to assess endoscopic ultrasound (EUS) as a screening method in a population considered to be at increased risk of developing pancreatic cancer. Why screen for pancreatic cancer? Early detection and treatment of pancreatic cancer can significantly improve the outcome. However, due to the relatively low incidence of pancreas cancer, population-based screening is not considered feasible. A number of international screening programs are working together to define a population who may benefit from regular surveillance and to establish evidence-based screening protocols for families at an increased risk of pancreatic cancer. The pancreatic cancer screening trial commenced at St Vincent’s Hospital, Sydney, in 2011 and over 100 participants are receiving regular research-based surveillance. The trial has since expanded to Austin Health in Melbourne. The specialist gastroenterologists use endoscopic ultrasound (EUS), a combination of endoscopy and ultrasound, to closely assess the pancreas. The aim of the trial is to determine how effectively EUS detects premalignant lesions and early pancreatic cancers in high risk individuals. 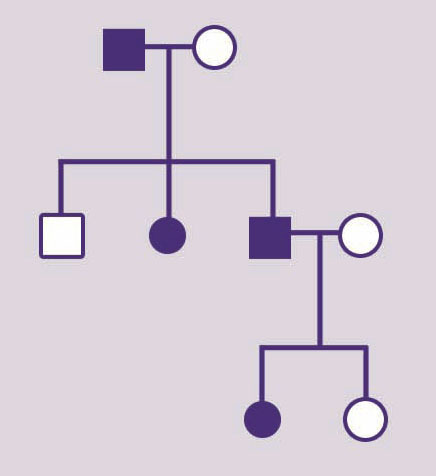 Family history of pancreatic cancer and genetic results are the main predictors used to assess individuals eligible for the screening trial. Which of your relatives have had pancreatic cancer, including their name(s), date of birth, age at diagnosis and/or age at death, where they were diagnosed or treated. Which of your relatives have had other types of cancer (e.g. breast, bowel etc. ), including their name(s), age at diagnosis and/or age at death, where they were diagnosed or treated. Details of any genetic testing in the family that has found a faulty copy of one of the cancer predisposition genes or syndromes listed above. Additional information may be required to confirm the details of pancreatic cancer in relatives (e.g. medical records, death certificates). The screening trial coordinator can provide further information that can help you to obtain this information. The screening trial coordinator for St Vincent’s Hospital is Tanya Dwarte, who can be contacted using the email: t.dwarte@garvan.org.au. Victorian individuals wanting to find out more about the Austin Health eligibility and the enrollment process can email the screening trial coordinator on info@pancare.org.au. You will be guided through the process by the site clinical coordinator, who will assist with any questions or concerns along the way.